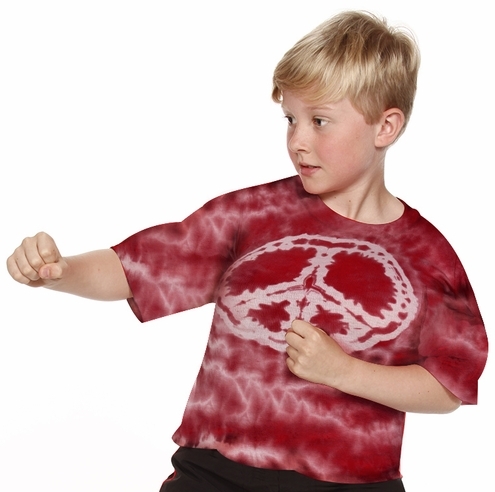 Our tie dyed peace tee now comes in red for kids! Every tee is individually dyed so each one is unique and different. Made of 100% cotton so they are soft and comfortable. These tees are a limited edition and will only be available online for a short time. Makes a great gift for girls and boys. On final sale, no returns or exchanges.